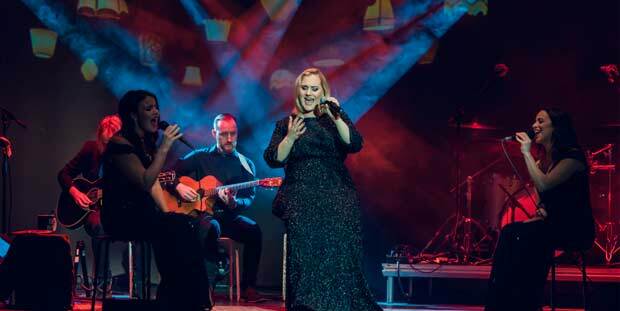 Back on the road by popular demand, Someone Like You (The Adele Songbook) is an immaculate celebration of one of our generation’s finest singer-songwriters, and is returning to theatres in 2018. Hand-picked by Adele herself on Graham Norton’s BBC ADELE Special, the outstanding Katie Markham has the show-stopping voice and captivating charisma to deliver all your favourite Adele hits in an enthralling concert performance. The show faithfully recreates the magic of the three record-breaking albums 19, 21 and 25 - including Chasing Pavements, Make You Feel My Love, Set Fire To The Rain, Someone Like You, Hello, Rolling In The Deep and the multi-million seller Skyfall. Someone Like You will take you on a soul-stirring journey from break up to make up!